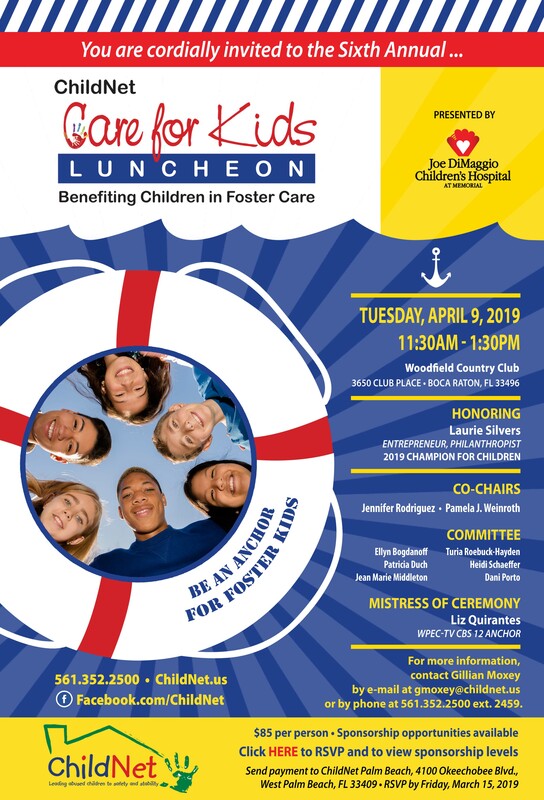 You are cordially invited to attend the Sixth Annual ChildNet Care for Kids Luncheon Presented by Joe DiMaggio Children's Hospital on April 9th at Woodfield Country Club in Boca Raton. Proceeds from the event benefit Palm Beach County children in foster care. Call or Email Julie Janello at 954-414-6000 ext.3863, jjanello@childnet.us with questions about sponsorship. ChildNet is the not-for-profit Community-Based Care (CBC) lead agency responsible for the child welfare system in Broward and Palm Beach Counties. 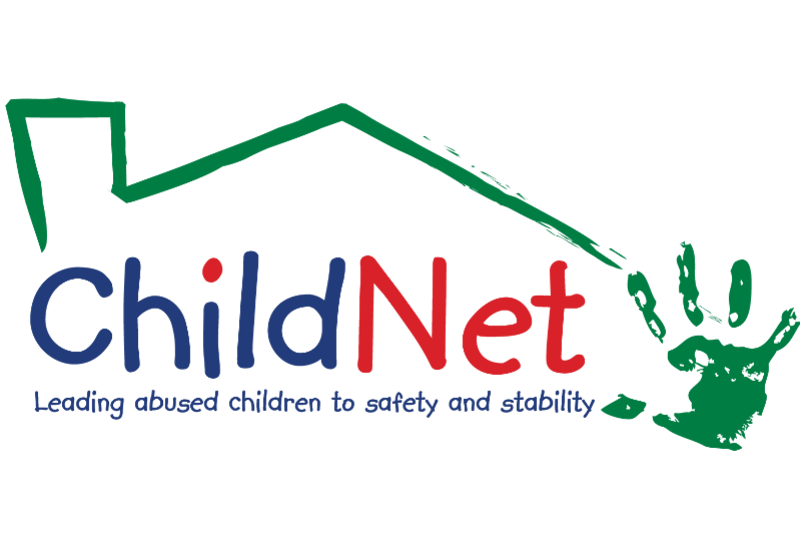 ChildNet’s mission is to protect abused, abandoned and neglected children in the communities we serve. Its vision is to lead every child in our care to safety, permanence, and stability. As a regional CBC lead agency, ChildNet subcontracts with a network of 27 child welfare service providers in Palm Beach County that offer dependency case management, family preservation, foster and group care, adoption and independent living services to 1,500 Palm Beach County children, young adults and their caregivers. ChildNet also manages the access and purchase of behavioral health and other social services by these clients from a comprehensive network of public and private service providers and practitioners. In 1996, the Florida Legislature passed legislation to begin the comprehensive redesign and privatization of child welfare. Under the CBC initiative, child protective services are transitioned to local providers and directed by the lead agency and a community alliance of stakeholders. Currently there are 17 lead agencies in Florida. In 2002, ChildNet was established to become the CBC lead agency in Broward County. In October 2012, the Florida Department of Children & Families (DCF) asked ChildNet to assume the same role in Palm Beach County via an emergency procurement. Following a competitive procurement process, ChildNet subsequently entered into a new five-year contract with DCF with the option of a five-year renewal.